Richard Serra, Sidewinder, 1999, installed on Riggio’s front lawn. Growing up in a suburb of Washington, D.C., there were no quirky independent bookstores in town. D.C. had places like Politics & Prose (where you could always spot someone from the Hill) and Kramerbooks (where you could smoke inside while browsing paperbacks), but in Bethesda, Maryland, there was only a Barnes & Noble, the biggest of the national bookstore chains, which took over a massive three-story space in the center of the not-so-happening downtown strip. After opening in the mid-1990s, though, it became a hub of the burgeoning semi-urban community; an entire decade of development—new restaurants, new boutiques, new apartment buildings, and eventually Equinox and SoulCycle—was spurred on by, of all things, a Barnes & Noble. It’s also where, while I was a teenager, I purchased nearly every book that I read, for years. A few years ago, Barnes & Noble announced it would be closing a third of its stores, because nobody buys books anymore, and spun its sole successful entity, the e-reader Nook, off as a separate company. And though the Bethesda branch still exists, and is still a place for bored teenagers to hang out and maybe accidentally read something, the end of America’s last chain of booksellers seems to be approaching. Next month, nearly 50 years after he purchased the bookstore’s single Manhattan branch, Len Riggio, Barnes & Noble’s executive chairman and empire-builder, will retire. Willem de Kooning, Seated Woman, 1969–81, installed on Len Riggio’s front lawn. On Saturday, Riggio offered a hint as to what his post-retirement life looks like, and it has less to to with selling books than it does collecting art and spearheading art philanthropy. For the last two decades, Len Riggio and his wife, Louise, have been amassing an impressive postwar and contemporary collection, some of which is installed at their house in Bridgehampton, New York (Len Riggio also served as the chairman of the board, and primary benefactor, of the Dia Art Foundation, and was the major force behind the creation of its space on the Hudson in Beacon, New York). Most notably, they’ve installed, on their front lawn, Richard Serra’s massive Sidewinder (1999), which can not only be seen from above the hedges that line the property, but also from Google Earth. Seeing the art that’s installed in the backyard is a bit tougher, as the Riggios don’t usually have large groups over to see the collection. But on the cusp of retirement, a slew of acquisitions in the last few years led the couple to put up works by Serra, De Maria, and Maya Lin, their first major overhaul at the house since installing ten works by Isamu Noguchi near their Koi pond. On Saturday, he invited a few Hamptons-dwelling friends—including former New York Governor George Pataki, artists Glenn Ligon and Mary Heilmann, and dealers Larry Gagosian, Per Skarstedt, and David Zwirner—over to see the new work. And while there have been highlights at the Riggio home for some time—in addition to Sidewinder, there’s de Kooning’s massive bronze sculpture Seated Woman (1969–81), and Mark di Suvero’s Caramba (1984–90)—the new work are equally eye-catching. Lin, who had previously designed the Riggio-Lynch Chapel in Clinton, Tennessee, earlier this year installed on the Bridgehampton lawn Lay of the Land (2016), a series of rolls in the green grass that dip in a lower but not too dissimilar fashion to her work at Storm King. Most affecting is the one-two punch of the De Maria Garden and Pavilion and Serra’s Grief and Reason (for Walter), 2013, a steel sculpture of four coffin-like boxes, two each in two columns, that Serra made for his friend upon his death in 2013—De Maria was the first artist Serra met when he moved to New York City, in the 1960s. And just steps away is the chapel-like structure built to house a series of De Maria works—Large Rod Series: Pedestal Rods 5, 7, 9, 11, 13 (1984), Pure Polygon Series (1975–76), The Equal Area Series: Pair Number 25 (1990)—in immaculate fashion. And then there is Large Grey Sphere (2011–15), which rests outside the hut filled with other works, and is visible through the glass. After touring the grounds, a Barnes & Noble spokesperson introduced me to Riggio, who was standing near his pool house—there was even work in there, including a sculpture by Jean Tinguely and an apropos Robert Whitman shower installation. Richard Serra, Grief and Reason (For Walter) in Leg Riggio’s backyard. Then Riggio gestured over to the rolling bumps in the long expanse of land behind him. 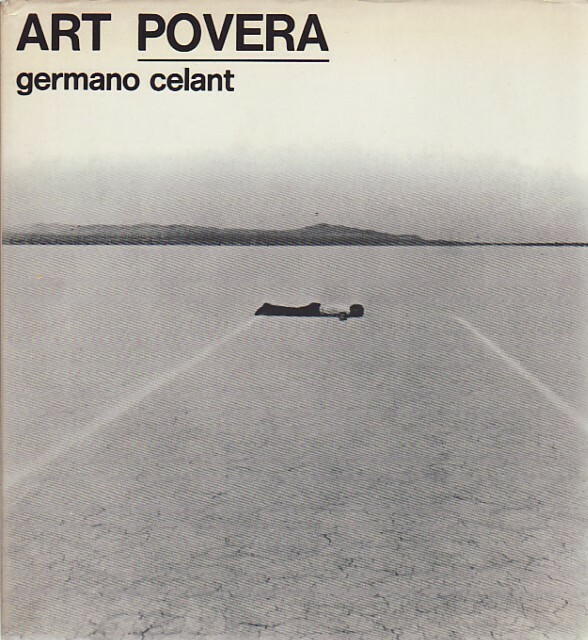 A dealer had suggested to me, earlier by the bar, that Riggio had wanted the new De Maria work to be in concert with the Arte Povera works hung inside the main house, as De Maria was a lodestar for the movement—Germano Celant put an image of him lying in the desert on the cover of his 1969 Arte Povera book, and Alighiero Boetti sought out De Maria and eventually met him. I asked if that, when he installed the Serra and the di Suvero together on the lawn, he knew that they grew up on the same block in San Francisco, where both of their fathers worked on the docks. “Oh yeah, oh yeah, that’s good, that’s nice,” he said. Works by Isamu Noguchi near Len Riggio’s Koi pond. Fuhrman and Cummings then invited him to “a film screening at Larry’s house” and walked off to rejoin the party. I asked Riggio what his plans are for his retirement, which is just weeks away.